Lets start off with some food talk. 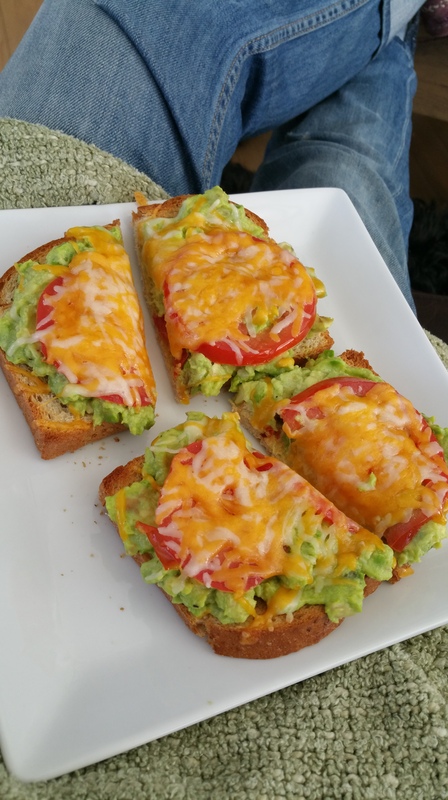 How about “better than pizza” avocado toast! 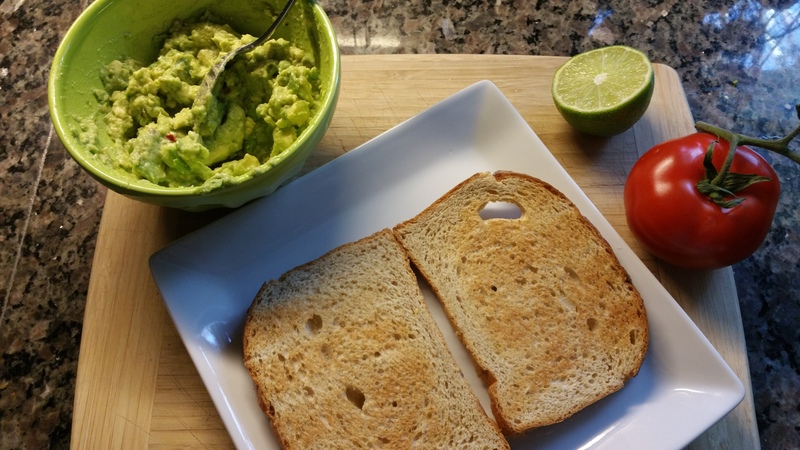 First I toasted organic 9 grain bread, mashed an avocado with lime juice, salt and pepper and then sliced some tomato. Because no one else will eat this I decided to smear half of the avocado on each slice of bread. I thought about saving some for later but didn’t want to risk it going bad! Add the sliced tomato and some shredded cheese and pop it in the broiler until melted. Watch closely! I burnt some leftover corn muffins last week this way…I mean completely black-burnt! Yesterday I had a baby check up appointment. The baby’s heartbeat is sounding great at 155-160 beats per minute. This appointment was also the first time they measured my belly! Question: do you ever consider the clothes/shoes you are wearing or wear less jewelry when you know that you’ll be getting on a scale? Pure vanity but I do it every time. Afterwards we went to Bay Local for lunch. On Monday they do half off appetizers and the hummus plate sounded good to me. 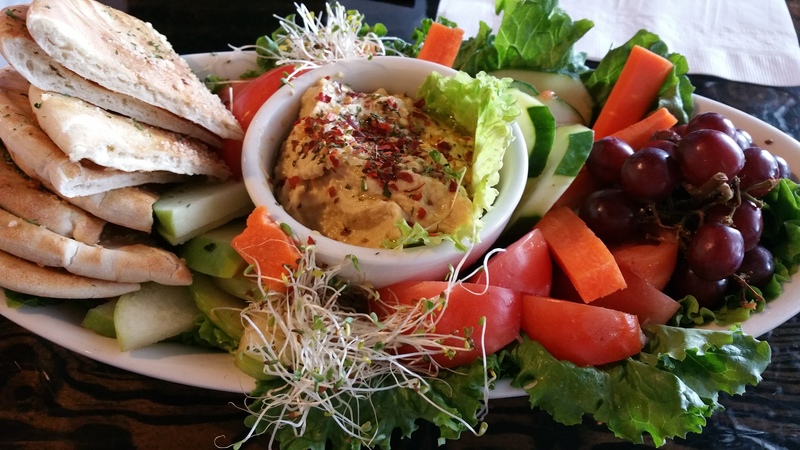 House made hummus, garlic toasted pita points, carrots, cucumber, tomato, apples and grapes. Lunch for only $5? Yes, please! Don’t be fooled by all the healthy food. I also made a batch of chocolate chip cookies and had them for a snack for 3 nights in the last week. On Valentines night I crushed 2 cookies over vanilla frozen yogurt. Pure joy! 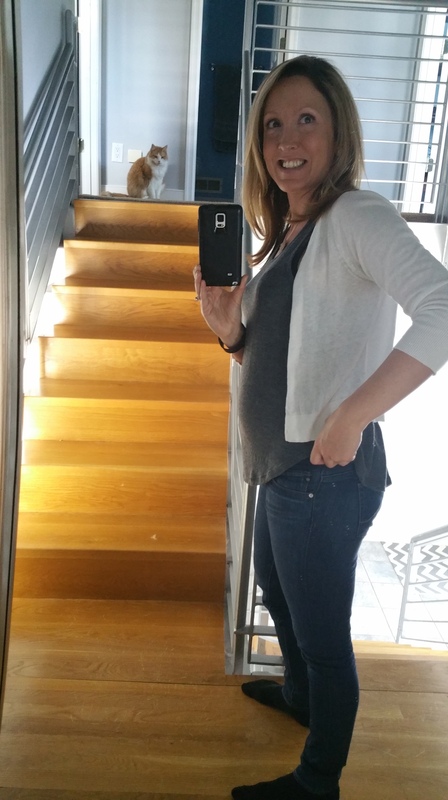 Clothes: Never thought I would be a preggo jeans convert but I am. Some women say they wear their regular jeans throughout their pregnancy but I found that annoying. Once I could no longer button my jeans I wore them with a rubber band. This helped to keep the button from poking out. After a few more weeks the button was not only undone but I also had to leave them unzipped. 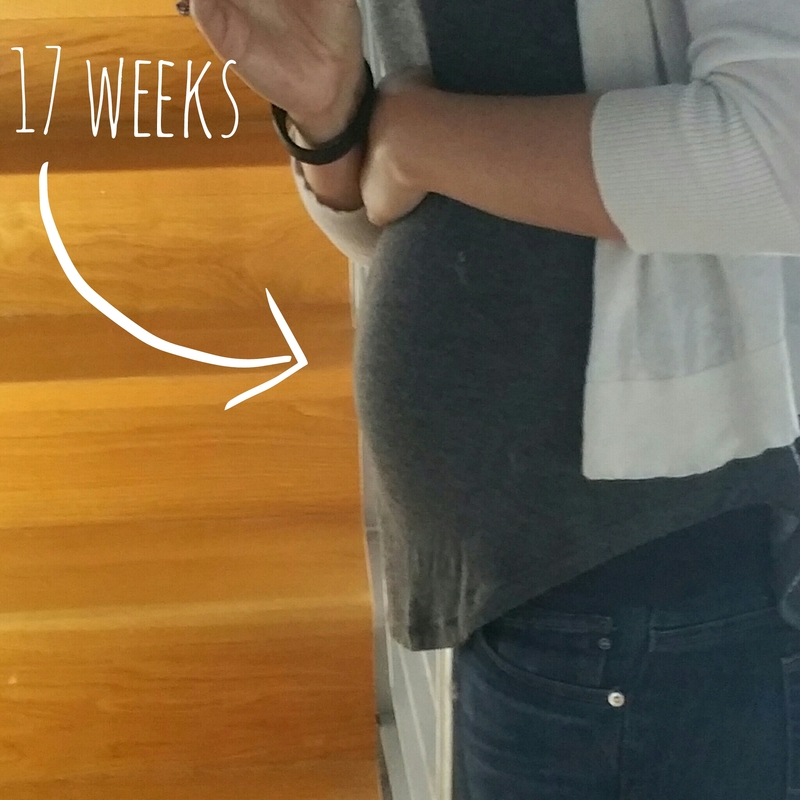 I have a belly band too but with all of this there is so much constant adjustment needed. 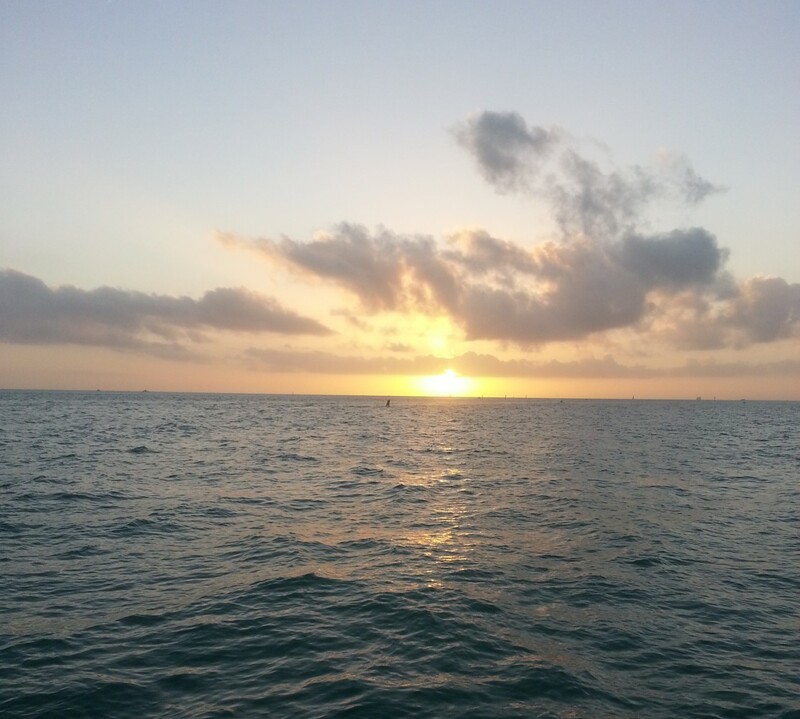 Try every time you get up, sit down, go to the bathroom and walk. Are my pants unzipped? Is my shirt long enough? Is my button laying flat? These lifesavers (aka jeans) are AG Adriano Goldschmied maternity jeans that I purchased at A Pea in the Pod. The sales person recommended them over 7 jeans for the stretch and said they are the one brand she sees women being able to wear through their entire pregnancy. I went into the dressing room with a couple of pairs of jeans but as soon as these went on I knew they were the ones. Jeans that feel like leggings? Sold! The price was scary…for this reason these will most likely be the only pair I buy. When the weather gets warmer I have maxi skirts, dresses and other options. For now it’ll be these jeans and leggings! My tank is a racerback tank from Victoria’s Secret. The cardigan is Target from last year. Feeling: Little baby flutters are happening! Funny: Travis said he had a dream that he was walking around the house and saw baby legs sticking out from under a table. He thought, “That’s our baby. I found the baby.” I thought I was the one that was supposed to be having the weird dreams right now?! Cravings: My yogurt, granola and fruit bowls are at the top of the list. One night I wanted a hamburger and grilled asparagus and Travis went out to use the grill in the 20 degree weather! Can’t stand the thought of: Still spinach and I also really don’t love onions right now. I can eat them finely diced and cooked into soup or a sauce but no raw ones. Bleck! Looking forward to: Warm weather! That’s so funny (and also cute) about Travis’ dream. 🙂 Looking good, mama!